Mark your calendars! November 14th is Yanni's birthday!! And we will be celebrating the entire week with the fans! 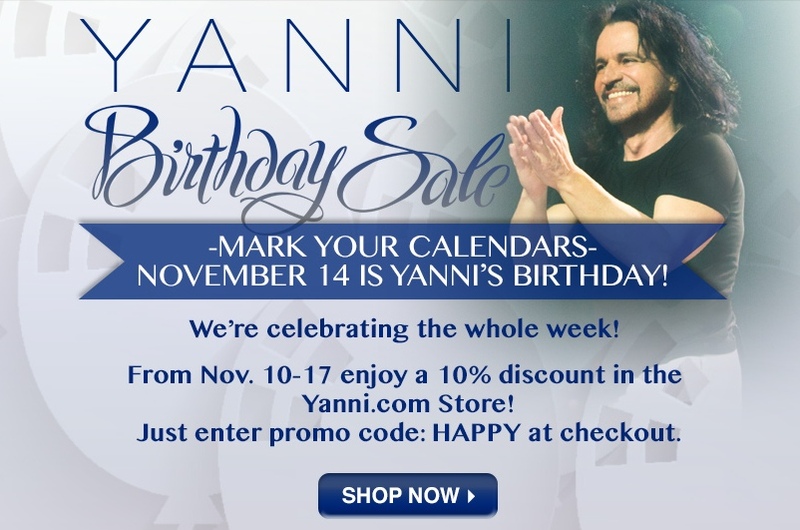 From November 10 - 17 enjoy a 10% discount in the yanni.com store! All you have to do is enter promo code HAPPY at check out!